Keep Shorelines vegetated with native plants. Plants absorb polluted water runoff from roads, paths and lawns. ​Fertilizer may make your lawn green and your garden grow but when applied close to the water it creates algae. 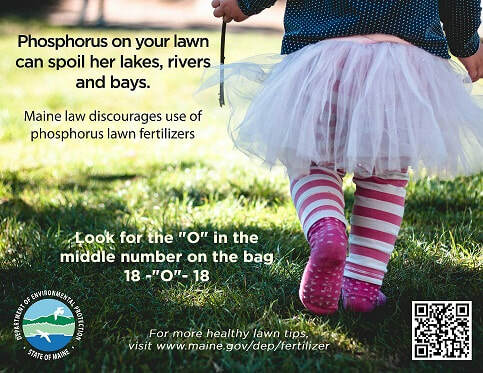 You can check to see if your lawn or garden even needs fertilizer by conducting a soil test from the University of Maine Cooperative Extension.